American food is known for being a hodge-podge of cuisines from all around the world, but in recent years, Asian food has become extremely popular. While the US has become obsessed with bubble tea, pad thai, and curry, the East has become infatuated with American fast food chains. Pizza Huts are actually nice restaurants in China, and it seems that America isn’t the only one that runs on Dunkin’. 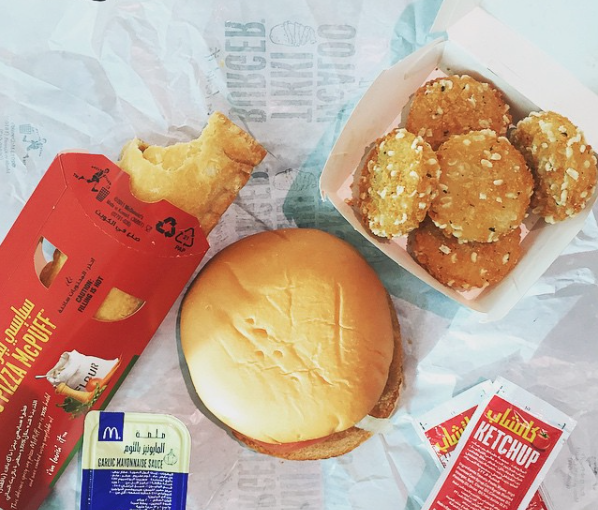 While there are a lot of American fast food chains in Asia, they have modified their menus to suit the tastes and flavors of their respected cuisines. 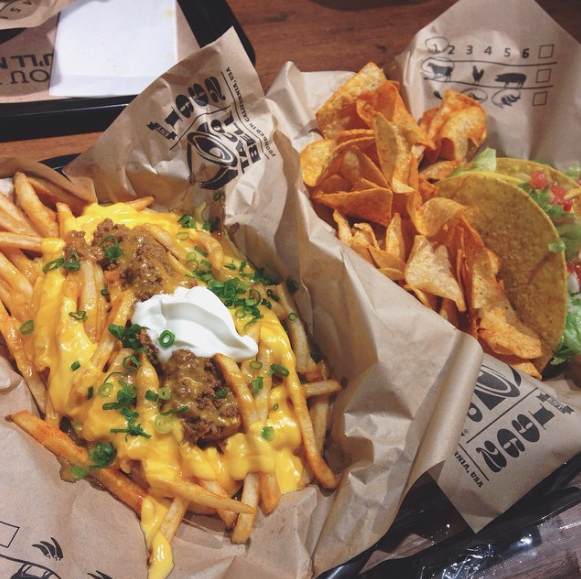 Here are some fast food items that are worth the trip. Kimchi is fermented cabbage and the national dish of South Korea. It’s made a huge impression on foodies around the world. In honor of National Donut Day that just passed, this donut from Dunkin’ Donuts in has us drooling for a more savory treat. Taro needs to make a resurgence in the United States, because it is so darn good. Taro is a root vegetable that originated in South-Central Asia and has since spread to become the popular purple flavoring in your bubble tea. In Malaysia, they have taken the classic McDonalds apple pies and made them even more delectable. 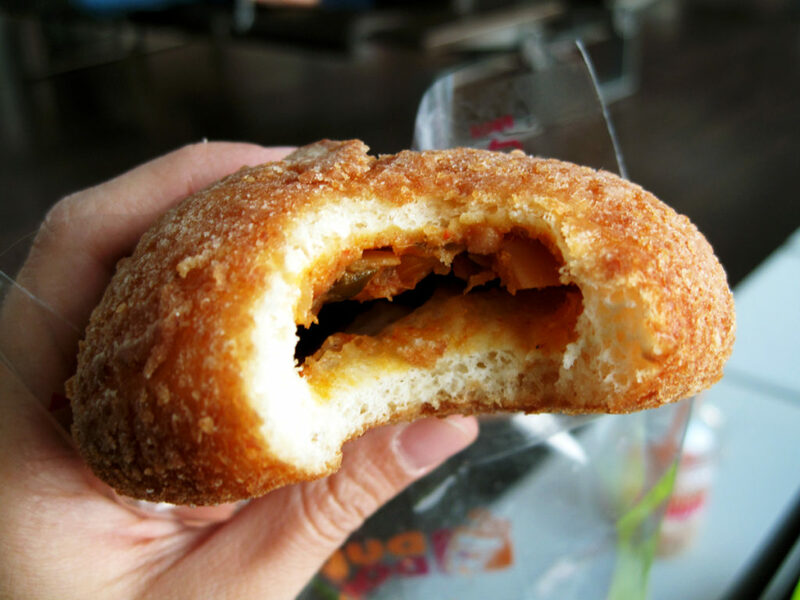 Another treat that we can’t get in the US is the Pizza McPuff. While this has America written all over it, this pizza roll/hot pocket combo comes from McDonald’s India. The McPuff is vegetarian and is filled with tomato sauce, bell pepper, carrots, peas, beans, onion, and mozzarella cheese. Mochi is a gelatinous rice desert from Japan that is often filled with red bean paste that has taken America, especially Los Angeles, by storm. 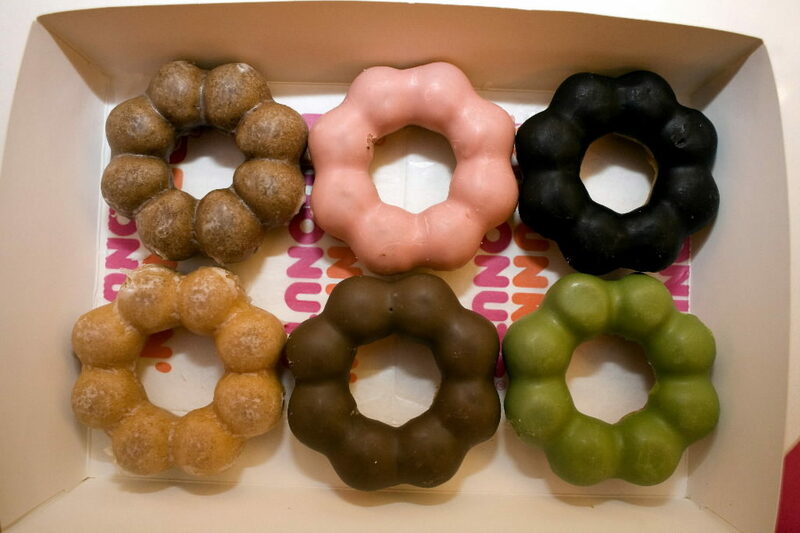 These donuts are now staples in Dunkin’ Donuts’ in Japan, China, Korea, and Thailand, and are almost too cute to eat. Sometimes your Subway run can get a little stale. 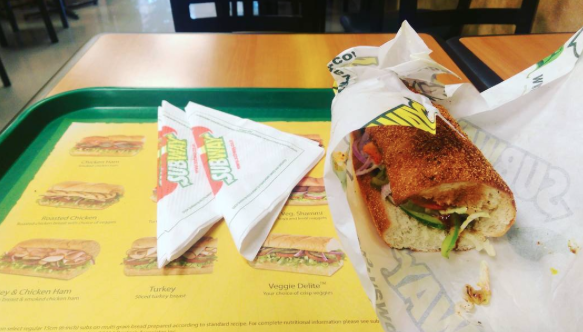 But if Subway in the US had a chicken tandoori sub like they do in India, the game would be changed forever. Chicken tandoori is marinated in yogurt, ginger, garlic, and topped with a mint mayo – obviously, delicious. 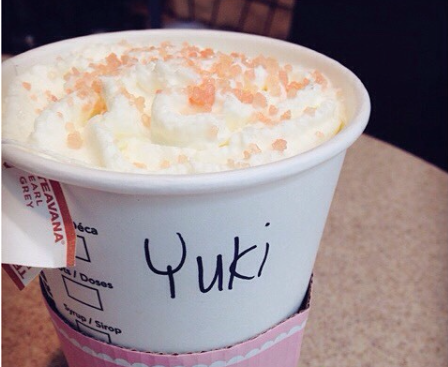 The peach blossom latte is a holiday drink in East Asian Starbucks’ that looks delicious and adorable. It’s a combination of Earl Grey tea and steamed milk – but the most recognizable part are the sprinkles of peach blossom sugar. Photo courtesy of @jazz_ce041 on Instagram. If you grew up in America, you will know the true devastation of a fast food chain’s ice cream machine always being broken in the summer. 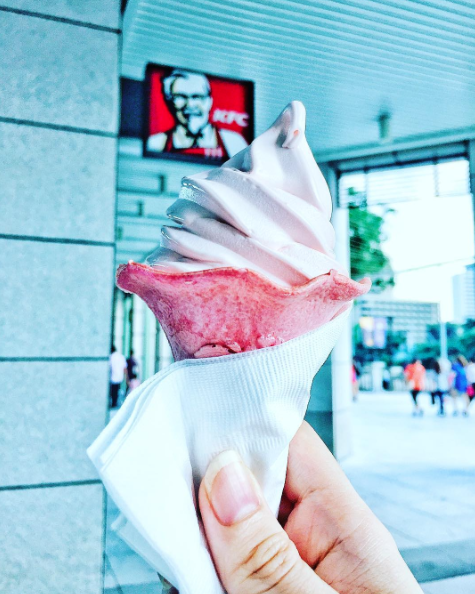 In KFC China, not only do they work all year round, but they come in strawberry cones that are picture perfect. 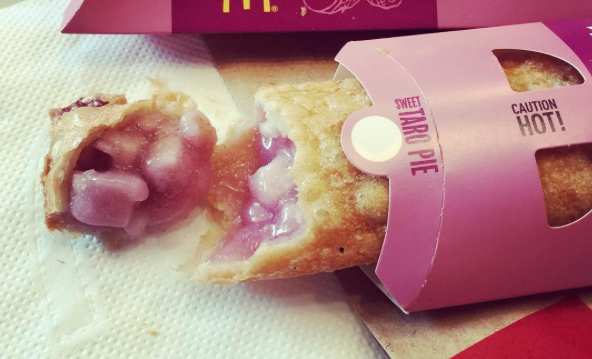 It’s not uncommon to have pink seasonal flavors in East Asia, like an entire Sakura-themed menu at McDonald’s. Photo courtesy of @morey on Instagram.